Be it updating some status for likes and comments, engaging into fun-filled games on the go, talking to friends via chat, or reading their Wall posts, Facebook literally helps social butterflies do everything. After announcing its availability to various platforms and mobile devices across the world, the social networking site now finally reaches to the Apple iPad users. With this announcement, the feature-rich Facebook’s iPad app has joined other social networking sites on the iPad, comprising Flipboard, Twitter and others. Earlier, the newly released facebook app for ipad was whispered to land on F8, Apple’s Developer Conference and then fluttered tidbits about reaching at the company’s launch event around last week. Designed to uplift the experience of staying knitted with closed ones, the Facebook’s iPad app features a left-hand navigation bar that lets users effortlessly access the News Feed, Groups, messages and settings. Users can view their notifications, status updates and other important key features. Integrated with an intuitive user interface, the facebook app for ipad enables people to share their photos or send a message without having to exit from News Feed. One can even glimpse over the Nearby map and check out what their friends are up to. Indulging in interesting, amazing Facebook apps and games gets simpler too. At the same time, one can zoom in on their amigos’ photos and view their stories or updates. In terms of its layout, users will find their pages, groups and apps in the left side menu while the mostly used ones right on top. Pretty much like a real photo album, the photos now appear in high resolution and can be flipped through very easily. Besides all these purposive features, the facebook app for iPad leverages the connectivity experience by rendering the iPad’s massive touchscreen. By taking advantage of the huge iPad display, people can comfortably and more engrossingly video chat with friends and do much more. READ Palringo Instant Messenger Premium Review: Is it Worth Your $4.99? Facebook’s iPad app also allows consumers to indulge in IM and games with rich graphics playing on the tablet’s full screen mode. For those who enjoy watching videos, the ability to watch and record high definition has been included further. The software lends support to HD video and AirPlay, thereby putting forth an even more intuitive interaction. The embedded simple dropdown menu proffers the convenience to scan and send messages without paying a visit to the Inbox. To notify, according to the estimation, nearly 350 million out of Facebook’s tremendous 800 million users use their mobile devices or other portable devices to log in to the social networking site. Keeping this into consideration, the company settled upon launching a new feature-rich application dubbed ‘Facebook’s iPad app’ for their tablet users. Facebook app for ipad is available in various languages including English, Chinese, Dutch, French, German, Italian, Japanese, Korean, Polish, Portuguese, Russian, Spanish and Turkish, Facebook’s iPad app can now be downloaded for free. Users can head towards the iOS App Store to snap it up to ensure that they are always connected with closed ones either while traveling or doing some another activity. 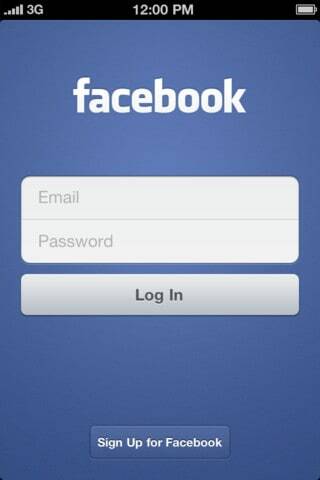 Download Facebook app for iPad from iTunes Apps Store Here. About the author: Rebecca is a blogger by profession. She loves writing on environment and technology. Beside this she is fond of gizmos. These days she is busy in writing an article on futuristic architecture.